Hisense may be poised to stake out a market share here in the states, as its K26 television has made its way onto Costco’s website at an extremely low price, with other affordable models currently available at Costco, Walmart and HHGregg brick-and-mortar locations. Hisense hopes to challenge manufacturers like Vizio – which released its new Razor LED line yesterday- for buyers on a stricter budget. Hisense’s 42-inch K26 television offers a 1080p Full HD picture, LED backlighting, and three HDMI inputs. The issue we’re having at this point is that any available literature is devoid of audio specs. Saying that the sound is “clear” and “crisp,” is as specific as Hisense gets. We won’t hold our breath, though, as on-board TV sound is almost universally terrible these days. On the plus side, Hisense is in the process of manufacturing its own Google TV set-top box, the Pulse, which is expected to retail for under $100. Since the K26 will not function as a Smart TV, the set-top box will be key for users that may want beefed up connectivity and app functionality in the future. 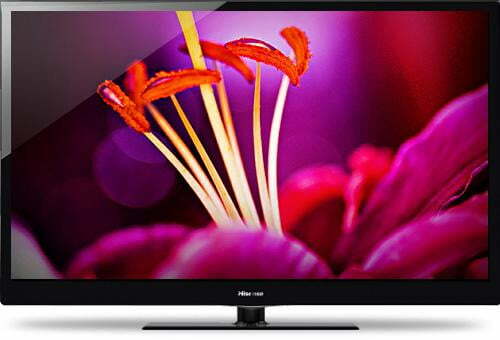 Whether Hisene has produced a viable, low-cost HDTV, or simply a low-quality low-cost HDTV, remains to be seen. But the price point is certainly intriguing. The K26 is currently available online at http://www.costco.com at the ultra-low price of $370.